Freestanding baths have the distinctive feature of being fitted in a room without being attached to the wall, for this reason they require generous spaces that are difficult to decorate, where the minimalist design, simplicity and refined lines of the SLIM bathtub, from KRION Bath, adorn the room and where it transforms into a functional and decorative object. If we exclude public baths, and apply the definition to the private feature, there are studies that place the birth of what we now consider as baths, in the Classical Greek era, being freestanding since its conception and historically rectangular. Over time, its functional requirements and aesthetic value have turned the bath into a decorative object, such as the SLIM bathtub. 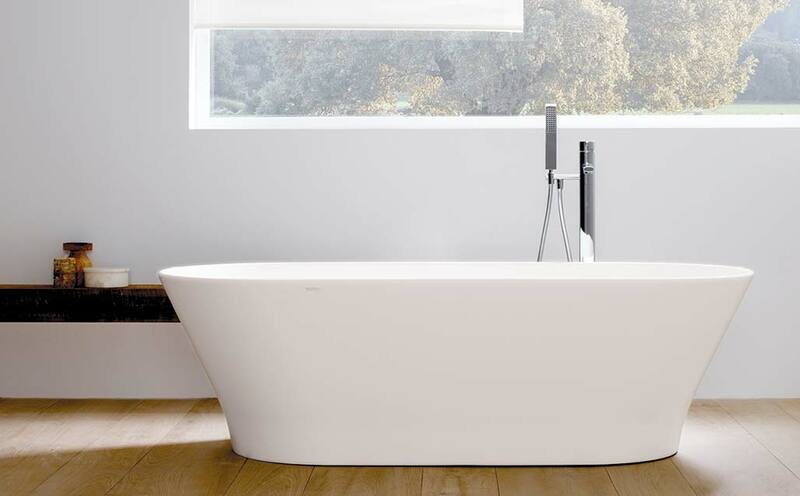 The SLIM bathtub, created with KRION Solid Surface and sold by KRION Bath by SYSTEMPOOL, belonging to the PORCELANOSA Group, has dimensions of 170x80 cm, with an integrated overflow and a polished Click-Clack drain, also made with the KRION material.